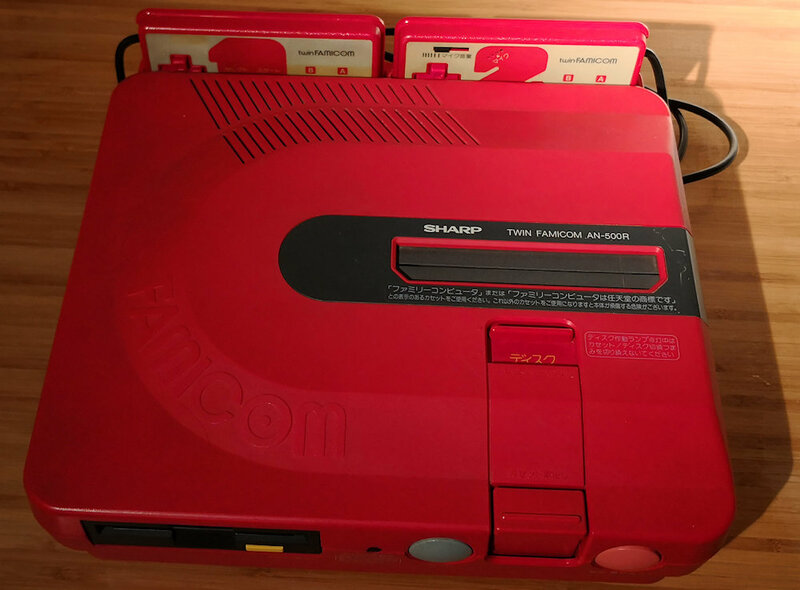 So I finally got around to taking my Twin Famicom for a drive to my parents’ place. You see, I was on a bit of a mission to try out some 80s gaming action on a genuine CRT TV which my parents still rock. It’s brought into the modern age with the help of a DVB Tuner, keeping those broadcast TV programmes alive for a little bit longer yet. 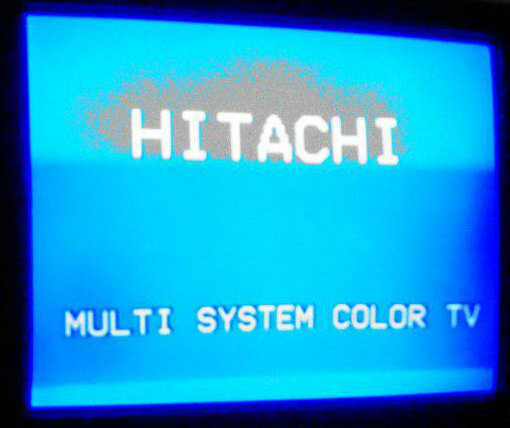 I had actually forgotten a few things about CRTs, having used LCD TVs for so long now. Boy, they are noisy. And I don’t mean the volume through the speakers. It’s that constant high-pitched whine which I had totally forgotten about. There is no escaping it, even moving to another room the sound purveys. Of course, the older generation amongst us won’t have this issue as the top end frequencies roll off in the teens of Khz, but for me it’s still there. Zzzzzzzzzzzz. I should note that I didn’t record any videos for this, but there is a rather large collection on YouTube if you want to experience the reaction of today’s kids with old tech. 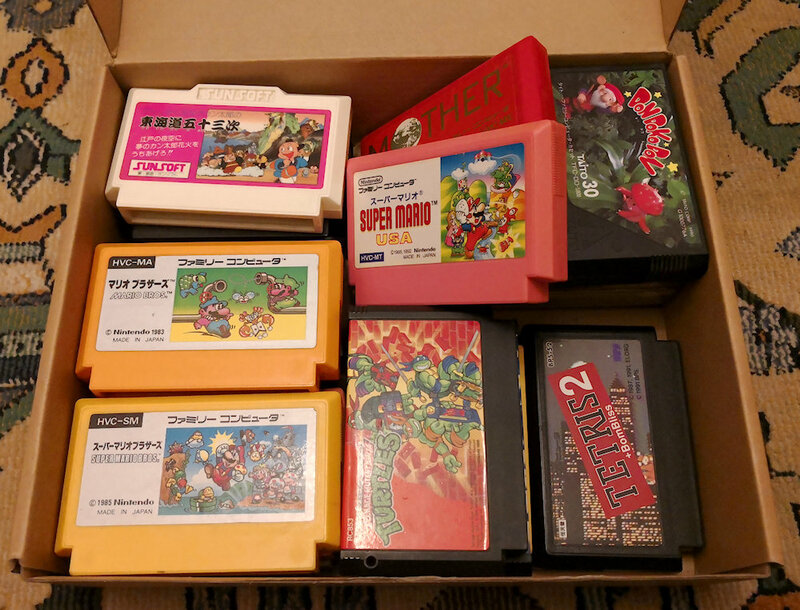 I plan to write a few reviews of games I’ve been collecting of late on both the Famicom and Super Famicom systems, but wanted to do the full experience and capture the video output on a CRT. Turns out it’s not so easy, with the whole scanline thing happening and whatever. So instead I decided this week to just see what fun kids of today might have playing 30+ year old games. 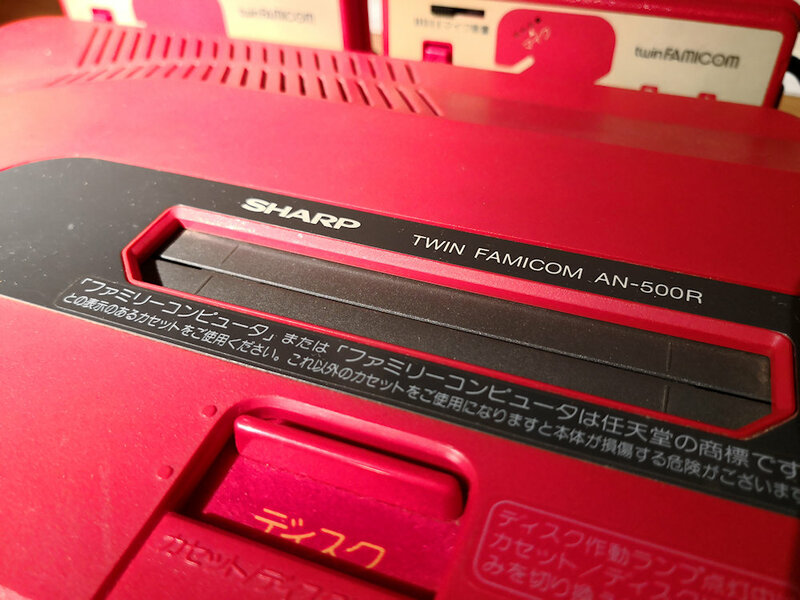 Caitlin and Emma were very amused by the large red plastic box of the Twin Famicom and became especially interested when I said I bought it online and shipped it from Japan! 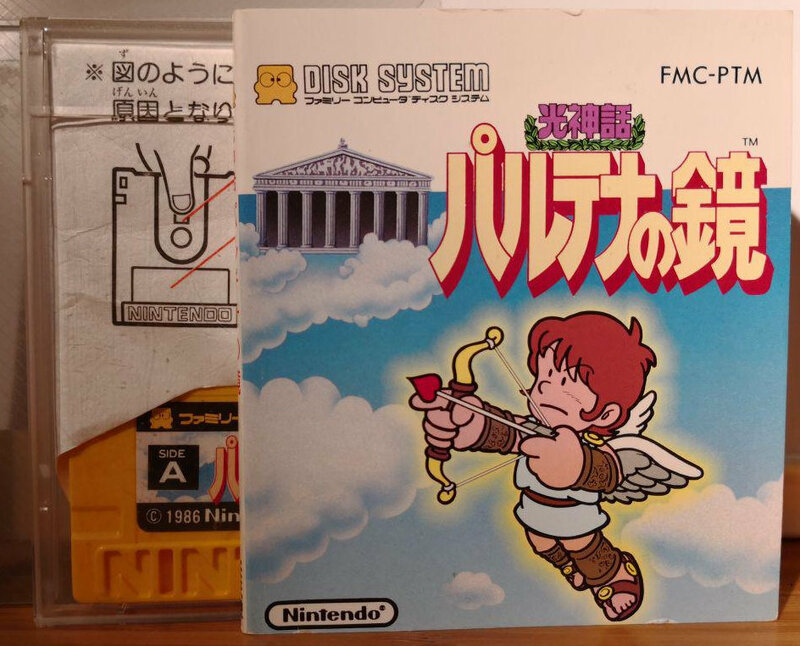 Can old games entertain today’s kids? Read on to find out… but first I should say, let the games begin! 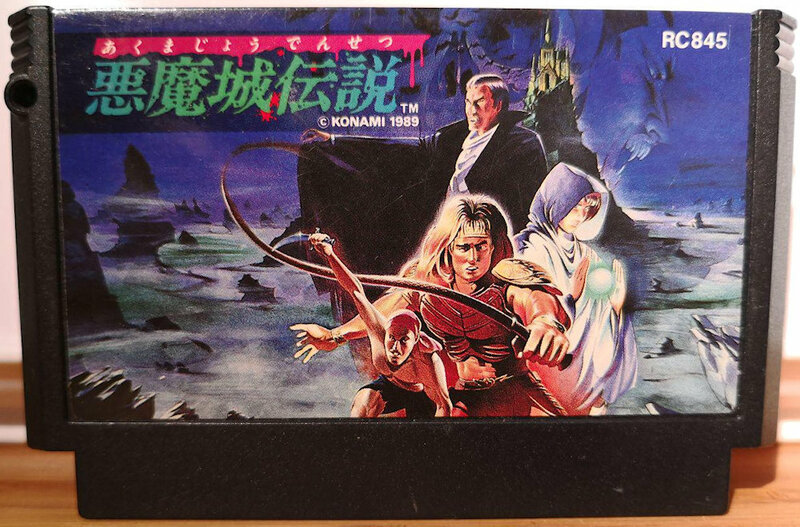 One of the later games released for the NES / Famicom, this epic adventure combined battery backed-up saves with probably one of the best examples of graphics on the aging 8 bit system. It is also a fairly easy game to play, with most levels you can simply “float” over the enemies. The core mechanic which makes Kirby such a joy to play is copying the abilities of different enemies. This is rewarding when you capture a rare ability and hold on to it for a very long time. But it turns out you can play the game without collecting any ability whatsoever, which I found quite amusing! 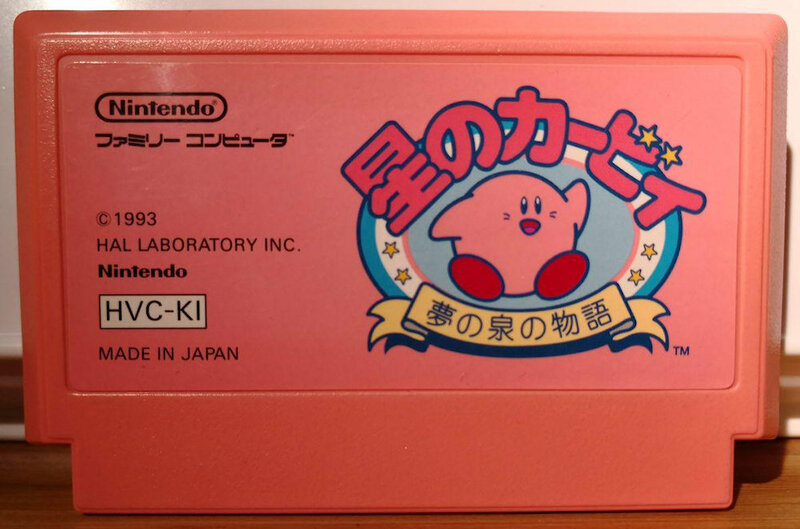 Kirby also has a rather large catalogue of moves including jumping, diving, swimming, sucking, inflating, deflating, the list goes on. Very nimble little fellow. The cuteness helps, too, of course. It’s pretty incredible. This is what really kick started it all and sitting back and watching kids discover it for the first time, you can really see why. Interestingly enough, neither Caitlin or Emma was able to finish World 1-1 without losing all lives, so it goes to show the “easiest” level may not always be quite easy enough. There is something in the simplicity of this game, combined with almost poker-machine engineered sounds which really hooks everyone in. Even the raddest soundtrack that side of 1990 with the special tricked-out VRC6 chip couldn’t save this classic number. Falling off the staircases can be frustrating, but when you fall to your doom time and time again, this gets old fast. Still, it’s one of my favourites. 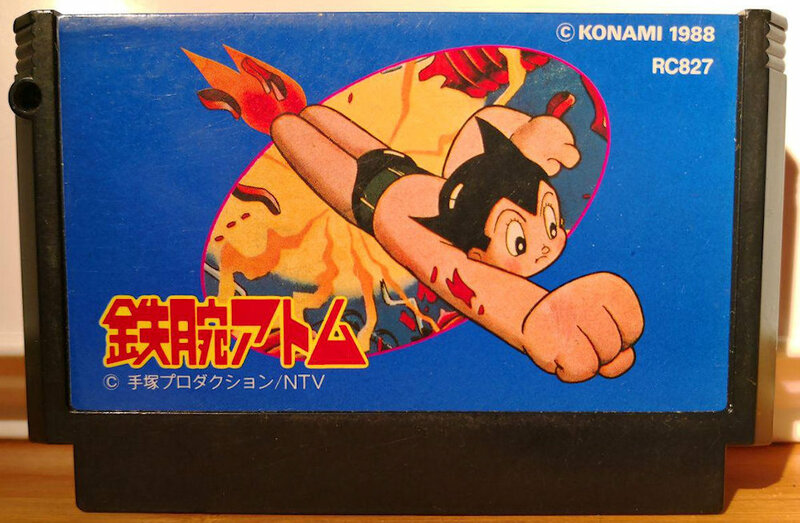 This game, like most Famicom games, is very difficult. But the most amusing part of the game was the sequence where Professor Ochanomizu pieces you back together again with any remaining Uranium you have. This made dying extremely entertaining for the girls! I know this one! It’s Pokemon! 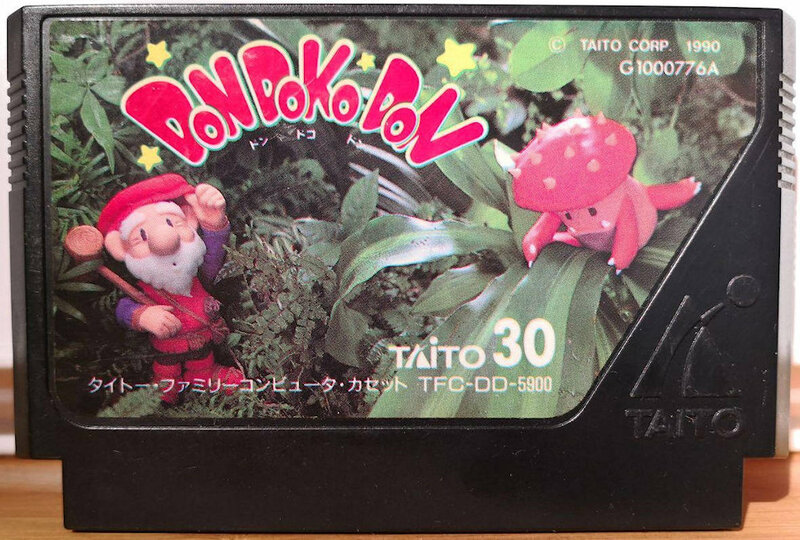 Actually, it’s a game called Don Doko Don and it has nothing to do with Pokemon. But I guess if you squint, the logo does look like Pokemon. This mallet mashing game was an instant hit! The simple controls, single screen levels, bright colours and addictive mallet action were all ingredients in the recipe of success. Any relationship (real or otherwise) to Pokemon was quickly forgotten. 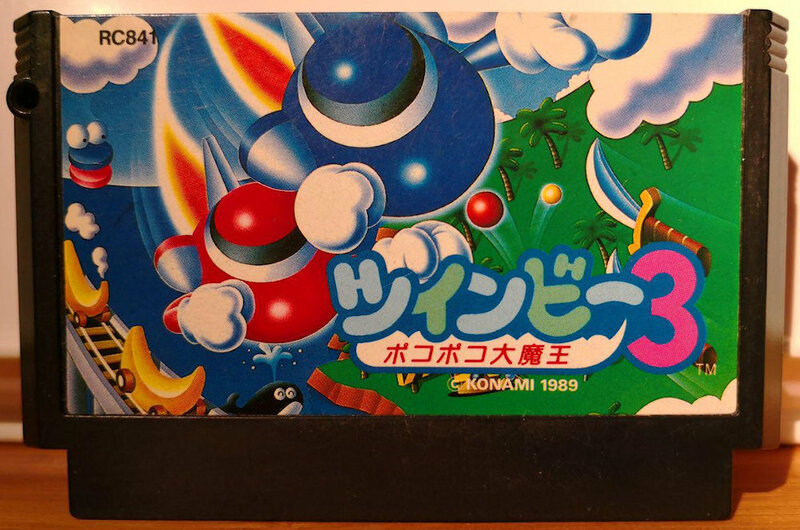 Despite all of the Japanese messaging in the menu system, TwinBee 3 was actually a small hit. The bright colours and musical instrument themes resonated with Caitlin and she found this game strangely interesting. I think it also helped to be different to all the other platformer-based games on the system. Cos that’s about 99% of them. We played some other games but they were just a little out of the league for attention this time. 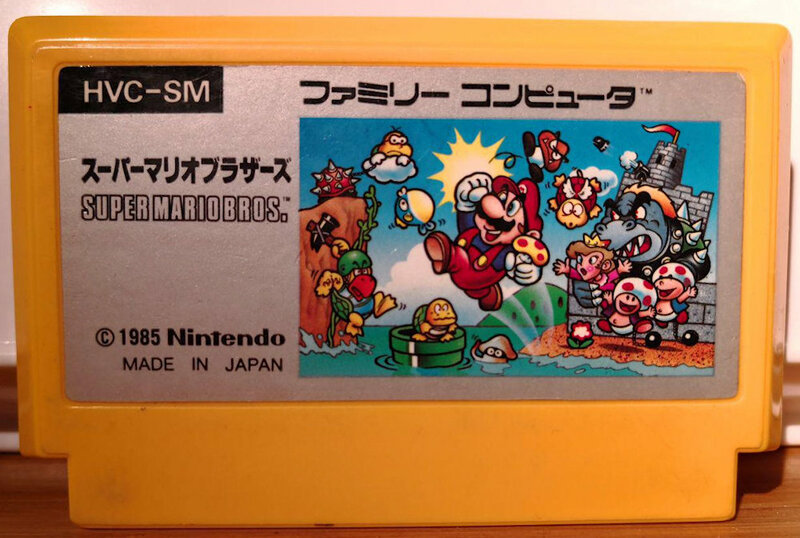 Dr Mario was good but difficult to explain and Tetris - everyone knows Tetris somehow - isn’t so good on the Famicom as it is on the NES (which is, arguably the definitive version). This left us with Mahjong, which I discovered on Side B of my copy of Super Mario Bros. 2 (aka the Lost Levels). The kids were convinced they could play the 2 player version of Mahjong, even though everything is in Japanese. They knew it was a type of card game, though! 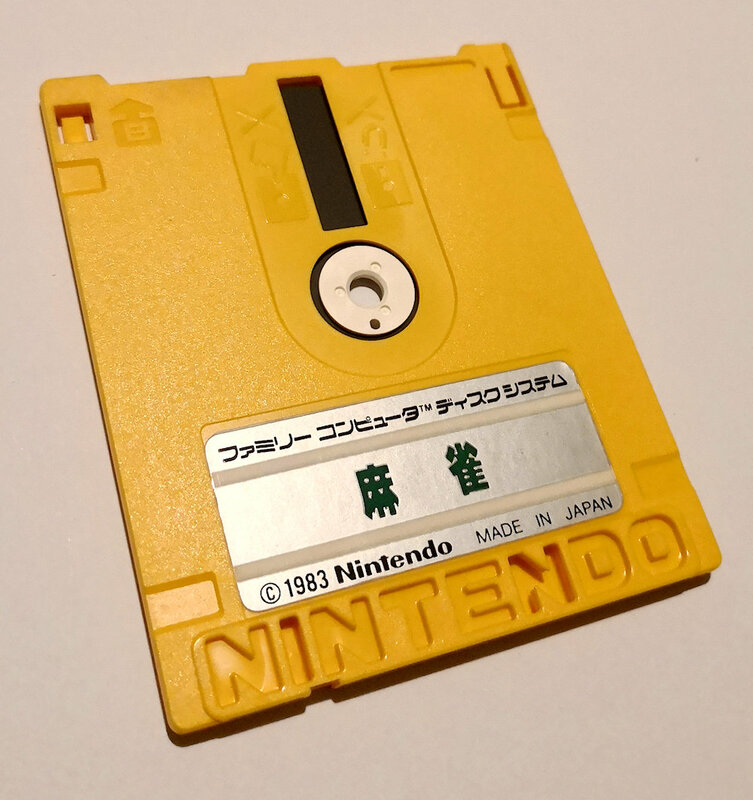 I actually really like the Famicom carts and find them so much more appealing compared to the grey boxy VHS-imitating western NES carts. These are so different to games, where is the disc? Wait, tell me more about the CRT TV? So in effort to keep the kids away from staring at the TV all day while visiting, my parents have always told my nieces that the “TV” is not working. 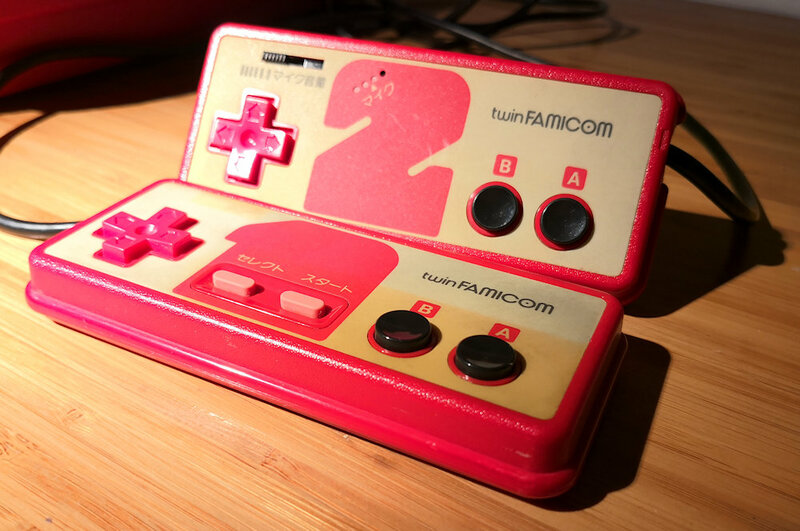 I guess I’ve kinda ruined that now by pulling out the Twin Famicom and hooking it up in front of them. Anyways, I guess the kids haven’t had a lot of exposure to CRT TVs and this very weekend was the first to be up close and personal with the humble CRT. Why is the screen curved? That’s weird. Ooooh! It makes a funny zapping feeling across the front when I run my fingers across it. How come it makes that screeching noise? It’s very blurry. can you get this in HD? 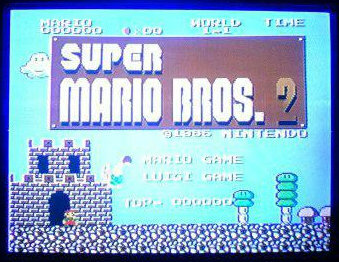 A few rounds of Super Mario Bros. sorted that out though and all short-comings of the CRT technology was quickly forgotten. The answer is Yes, old games definitely entertain today’s children. 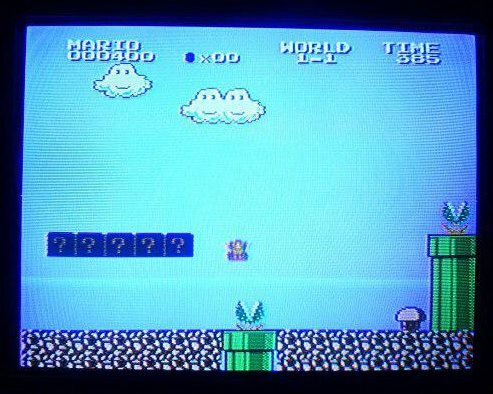 In fact, apart from asking for the “HD Version” every now and then, games like Super Mario Bros. really don’t trigger any questions and the gaming just keeps on going. It’s certainly a very noisy afternoon listening to kids discover old games! Oops. My apologies to the parents. Nintendo might be the only thing they hear about for months. I had a great time watching and playing games and certainly having the CRT TV experience was part of it. I hope to spend a bit more time in front of that old friend and see if I can write some more reviews. Sometime.